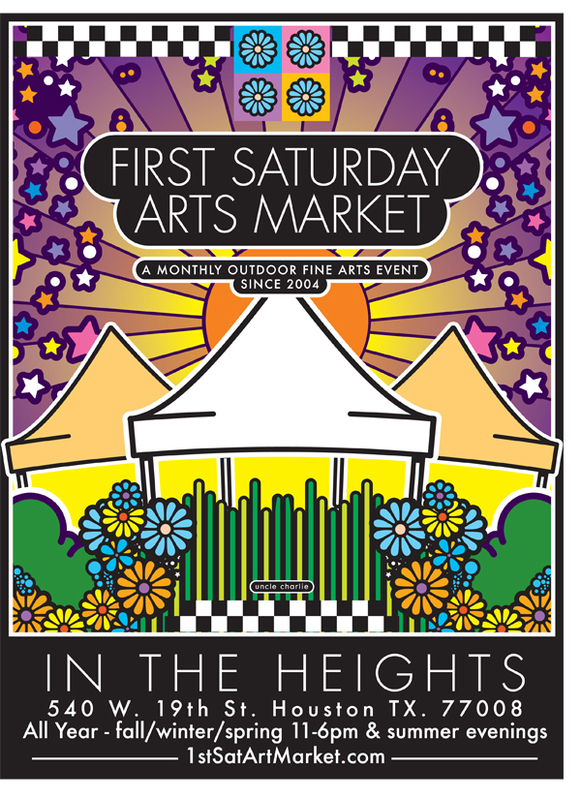 Browse fine art and eclectic goods at the free monthly First Saturday Arts Market in the heart of the Houston Heights. In addition to shopping and browsing, you’ll find live music, food truck bites, great people watching and more. The market happens every month of the year, during the day from September through May and in the evenings in the summer months. If it’s rained out, it will be rescheduled two weeks later on the third Saturday of the month. Click here to check for weather updates. It’s free to attend the event, browse, and enjoy the live music. Of course, if you decide to buy some original artwork or food, then that’s on you. Click here for more information and weather updates.